Spring is in the air, but your lawn still has a bad case of the winter blues. What do you need to do to repair the inevitable damage done by cold temperatures and restore your outdoor landscape? Don’t let spring lawn preparation needs catch you off guard. These 10 spring lawn care tips will help ensure that your march into the growing season starts out on the right foot. When the days begin to warm, it's tempting to just roll up your sleeves and get started on your yard work. However, it's smart to take a few moments and make a plan first. After all, certain steps work best if taken in a specific order. As your dormant grass begins to awaken, assess your yard, note any problem areas, and decide what you need to do and when you're going to do it. Don't wait until your grass is too tall to discover that your mower isn't ready. Check that everything is operational before it's time to mow. Dull blades tear the grass, making it more vulnerable to disease, so don't forget to sharpen the mower's blades. 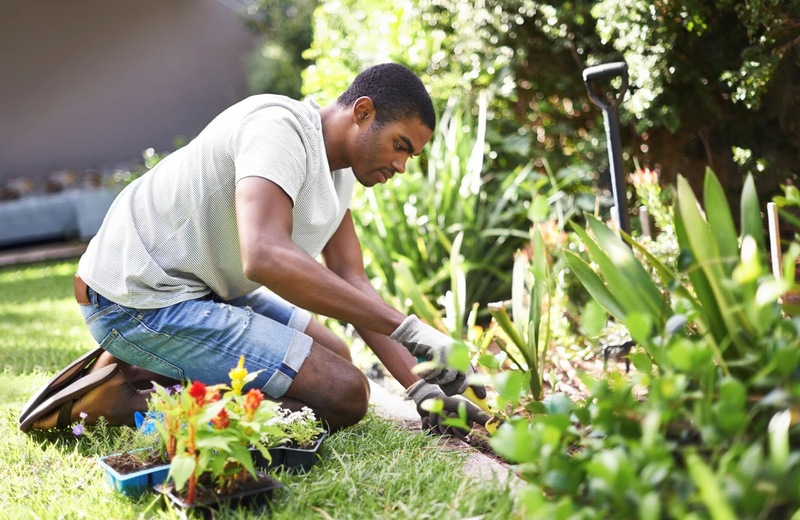 Spring is also a good time to check that irrigation systems are in working order and to make sure that gardening tools like rakes, shovels, trimmers, and wheelbarrows are all in good shape. When winter retreats, it often leaves debris like fallen leaves and branches behind. Pick them up and either dispose of them or compost them. Are dead patches of grass a problem? Remove them with a metal rake so that the spot will be ready for repair. Don't forget flowerbeds and borders. 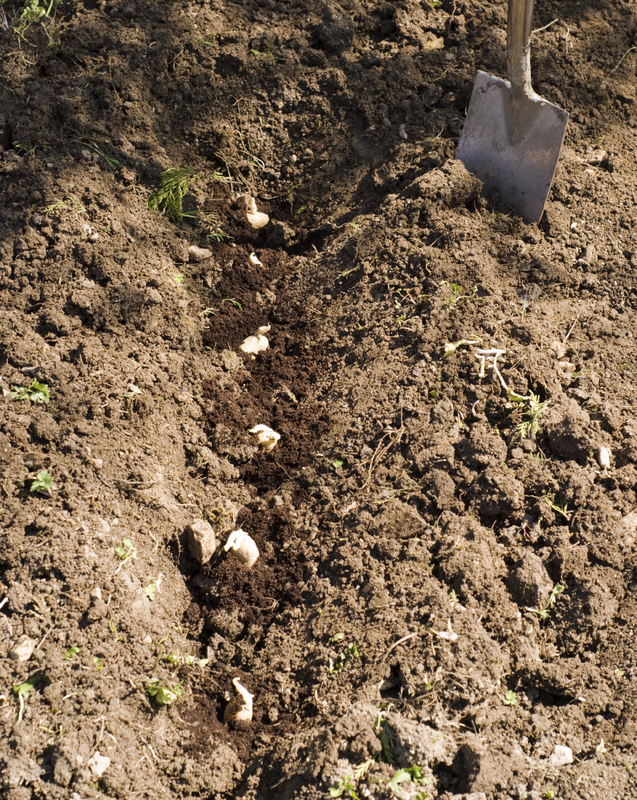 Clear away any dead foliage and rake up the mulch in areas where new plantings will be going in. If necessary, use a square-head shovel to edge the beds, creating a crisp line between them and nearby areas of grass. Raking isn't just for removing autumn leaves. It's also an effective way to control the thatch buildup that can compromise the health of your yard. Before you mow or apply any sort of treatment to your yard in the spring, rake it. This will untangle matted areas and remove dead grass, making it easier for your grass to get the nutrients it needs to flourish. It also gives you another opportunity to spot troubled areas that might need special care. Good soil is essential to a healthy lawn, and having the proper pH will head off many common problems. 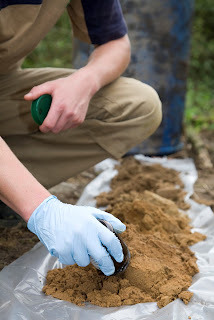 Soil tests are inexpensive and widely available, so use one to check your soil and see if you need to add amendments. Don't be surprised if your soil comes back as acidic. That's a common result of winter weather, and it can easily be corrected by adding lime. Whether they're caused by heavy foot traffic, animals, or something else, bare patches are a blemish on your yard. Overseeding with grass seed will fix these bald spots by establishing new grass. Populating these bare spots with grass will also prevent opportunistic weeds from gaining a foothold in your yard by crowding them out. Water is a strain on grass, but fertilizer replenishes the plant's resources, giving it the strength it needs to form the lush, green carpet people love. 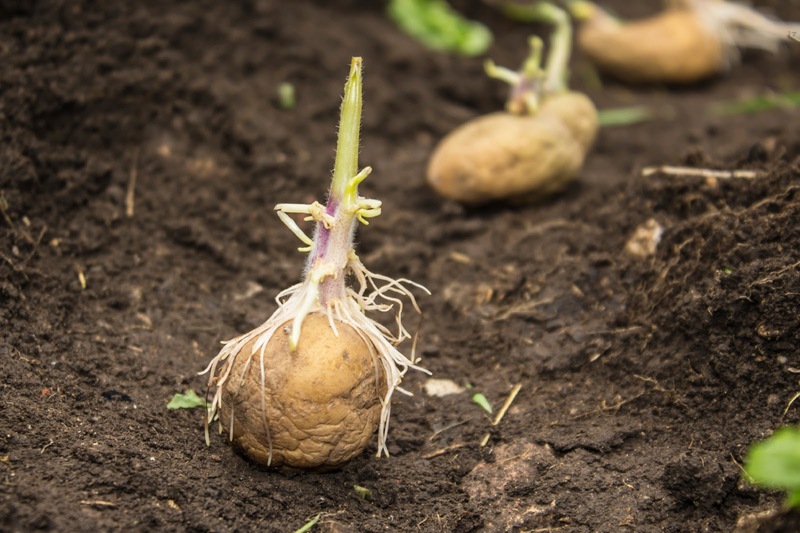 You can use organic fertilizers like compost or select a chemical fertilizer. It's important to note that if you needed to apply lime to correct the acidity levels of your soil, you should wait at least three weeks before fertilizing. Spring is the perfect time to stop crabgrass and weeds before they sprout. Seize control of the situation by applying a pre-emergent herbicide or corn gluten to your yard. Make sure to avoid any spots where you overseeded. Herbicides can kill your new grass. Cold temperatures and winter winds often do a number on trees and shrubs. Use a handsaw or hand pruners to trim away dead or damaged branches, pruning back to live stems. Being proactive keeps your plant healthier and more attractive, and taking branches down under controlled conditions means that you won't have to worry about them causing harm by falling on something. When the subject of lawn care comes up, most people focus on their living landscaping, but hardscaping features like sidewalks and patios are also something to consider. An integral part of your outdoor spaces, these features can use a little care too. Reset heaved pavers, rake gravel and stone back into place, and refill joints between flagstones or pavers with sand or stone dust. If leaf stains or moss is an issue, use a pressure washer to cleanse the surfaces. With the right spring lawn care routine, your yard will be refreshed and ready to flourish. Before you know it, you'll be savoring the warmth of the sun on your skin and the scent of freshly cut grass as you enjoy your outdoor living spaces. When it comes to the history of maple sugaring in America, historians are unable to produce a definitive timeline. However, according to the University of Vermont, written accounts referring to its production date back to 1557. Scholars have speculated that maple sugaring goes back even more, since several Indian tribes share legends about the sweet product. 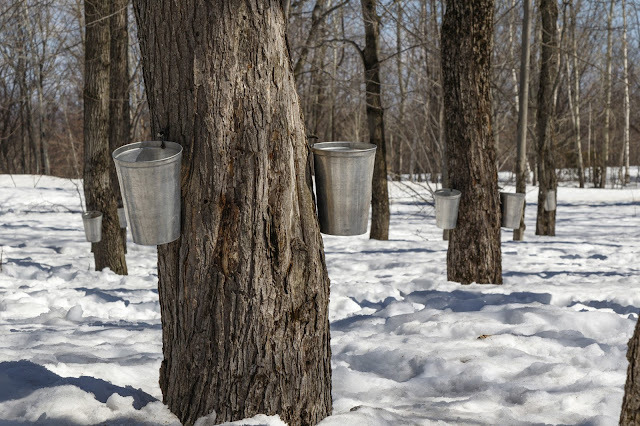 Today, we explore a brief history of maple syrup and sugaring in the United States and Canada. According to Time.com, one early legend tells a story of a tribe chief flinging a tomahawk into a tree. When he did, sap drizzled out, and his wife decided to boil venison in the substance. The Indians have shared another myth explaining that their ancestors came across sap flowing from a broken maple tree branch. Members of the Massachusetts Maple Producers Association believe that the Indians probably discovered maple syrup by trying “sapsicles.” These tree-generated treats are frozen maple-sap icicles that materialize on the tip of a broken tree stem. Many of the country’s first explorers wrote in journals. Their documentation tendencies have given today’s researchers a peek into the everyday lives of the northeastern Native Americans. According to these early writings, the Indians developed a maple sugar production process that dates back to at least 1609. Instead of living in one place, the Indians moved with the seasons. When winter gave way to spring, they would move into the forest to make their camps among the sugar maple trees. While there, the Indians would collect and process sap by forming V-shaped lacerations in the tree trunks. They would then gather the sap in containers. Since these early Indians did not have metal pots for boiling, they would produce maple sugar by removing the water from the sap through evaporation caused by hot stones. People stored solidified maple sugar because they could use it throughout the year. New England’s Native Americans gave maple sugar as presents. They also used it for trading. The Indians even mixed it with berries, grains, and bear fat to create a dessert. In the summer, maple sugar was dissolved in water for a sweet beverage. When the European settlers arrived, the Indians taught them their maple sugaring production methods. As early as 1790, people began looking for other ways to reach the sap because they discovered that cutting the trees was bad for them. A healthier way to get to the sap was to drill a small hole into the tree and insert a spile. This handy gadget released the sap more easily. People made the first spiles from sumac twigs because of the wood’s soft center. This section could be removed to form the device. The colonists used wooden buckets to collect the sap from the trees. Once the sap was gathered, they poured it into large iron kettles and boiled the substance over an open fire. This process caused the syrup to thicken, and once it was thick enough to crystallize, they drizzled it into wooden molds to create blocks. Like the Indians, the settlers stored these blocks for later use. The next 100 years brought many changes to maple sugaring. For instance, producers replaced wooden buckets with metal ones, while metal tanks were used to store the substance. When it came to boiling, maple sugar producers started using large flat pans because they were more efficient. Manufacturers also constructed sugarhouses for boiling sap. When the cost of imported cane sugar dropped, people started buying it instead of maple sugar. In 1788, the Quakers pushed back on this trend by advertising maple sugar as a moral alternative to granular sugar since slave labor was used in the development of cane sugar. By 1790, the maple sugar industry saw growth, with key advocates entering the picture. Thomas Jefferson, Judge James Fenimore Cooper, and Dr. Benjamin Rush all pushed the nation toward maple sugar. When it came to maple sugar production in the 1800s, inventions and patents were the rage. For instance, producers started using augers in 1810, while D. M. Cook requested a patent for an evaporating pan in 1858. Eli Mosher requested a patent for metal sap spouts a year later, and G.H. Grimm put in for a patent for his sugar evaporator in 1884. In 1904, the Cary Maple Sugar Company was established, and it became North America’s largest producer of wholesale sugar. The industry mingled with technology in 1946, as this was the year that saw the first commercial power-tapping machine. Advancements continued to flood the maple sugaring industry. In 1959, Nelson Griggs patented a sap-gathering pipeline system. During the late 1970s, maple sugar producers started using reverse osmosis technology to reduce sap’s sugar content before sending the substance through the boiling process. Researchers began investigating the health of maple trees during the last part of the century. In 1988, the North American Maple Project started looking into maple decline. Later, in 1999, maple sugar producers introduced the health spout. This invention used a smaller hole to collect sap. Cornell confirms that technology and research have provided insight into maple sugaring. For instance, soil type, weather conditions, and tree genetics affect the quality of maple syrup, so those who collect it as a hobby should assess the area before they gather the product. It’s also important to protect the health of a maple tree by tapping it judiciously. A tree that measures 10 inches to 17 inches in diameter should only have one tap, while a tree that is more than 25 inches around can handle as many as three. 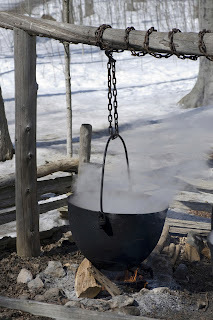 The history of maple sugaring is long and celebrated. Genuine maple syrup can only be found in the northeastern United States and Canada. Maple trees grow throughout the world, but America's northeast states and Canada are the only areas that have the proper climate for maple syrup. In fact, it’s mainly produced in Vermont, New York, and Maine. However, advancements have allowed the industry to expand to give the world access to the tasty substance. We hope you have enjoyed this maple sugaring history! Interested in doing your own maple sugaring? Check out our supply of some of the best and cheapest maple sugaring products around!